Reblogged from an original post by Allie M. Glinski, Gender and development specialist, ICRW, which first appeared here on December 30, 2015. In the age of globalization, borders are blurred and we continue to become more interconnected. Nowhere could this be more evident than in the climate sector. Each country’s industrial outputs, cooking methods, and transportation systems contribute to others’ agricultural sustainability, access to energy resources, prosperity, and resiliency. After years of climate degradation, it is imperative that the world works together to solve this global challenge. Fortunately, things are looking up. Recently, delegates from 196 countries celebrated a historical environmental achievement. After 12 days of negotiations at the UN Climate Conference in Paris, known as COP21, a universal pact – the Paris Agreement – was adopted to set the world on a course to limit climate change. The agreement sets the goal of keeping temperature rises to well below two degrees Celsius, and to pursue efforts to keep increases to 1.5 degrees Celsius. While it is just a commitment at this point, it is progress in limiting emissions. Through the agreement, countries have set goals to quickly reduce emissions to eventually reach net-zero carbon emissions in the second half of the century. The deal also requires countries to monitor, verify, and report their emissions through a single accounting system. So what does gender have to do with it? Across the world, the poorest people, and in particular, women, are the ones who are most vulnerable to the adverse impacts of climate change. Women are both intensely affected by climate change, and have a powerful role to play in using clean energy and limiting emissions. Women are often the primary collectors of energy resources such as wood and water. Climate change can have direct, negative impacts on their lives as deforestation and droughts can make these tasks even more arduous. 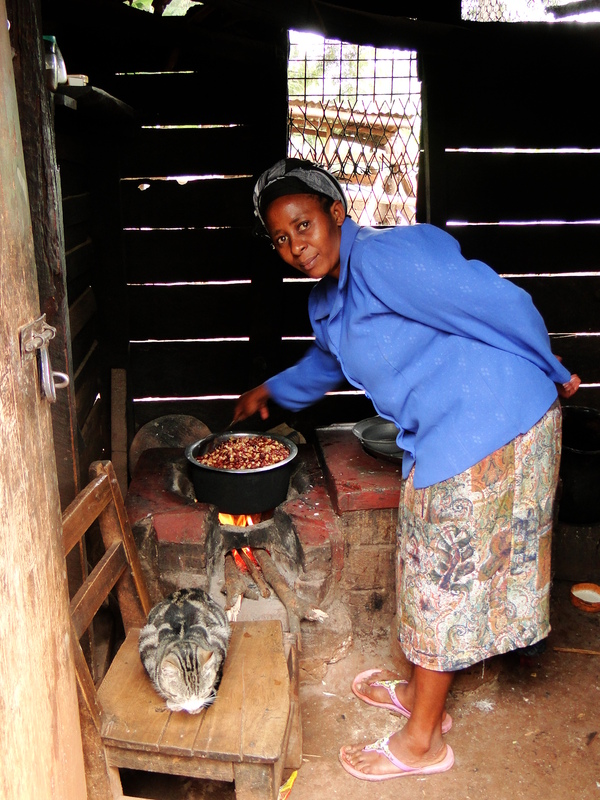 Additionally, women across many developing countries spend hours each day cooking over an open flame, and thus, have a higher relative risk – compared to men – of developing adverse health outcomes such as COPD and lung cancer, due to exposure to smoke from solid fuels. While in developed countries, such as the US, China, and the European Union, reducing emissions will revolve around industrial production, in developing countries throughout south Asia, Africa, and some regions of Latin America, it’s about reducing the use of solid fuels (e.g. wood) for cooking and lighting. In low-income countries, domestic cooking and heating with solid fuels account for up to 25 percent of global black carbon emissions- the most harmful form of carbon- and also has a significant impact on air pollution. Given the central role that women have in managing household energy and cooking, women play a critical role in the adoption of energy efficient technologies. Involving women is not only essential in order to eliminate the negative impacts on their health, time and drudgery – but they are also integral in promoting the widespread adoption of clean energy. 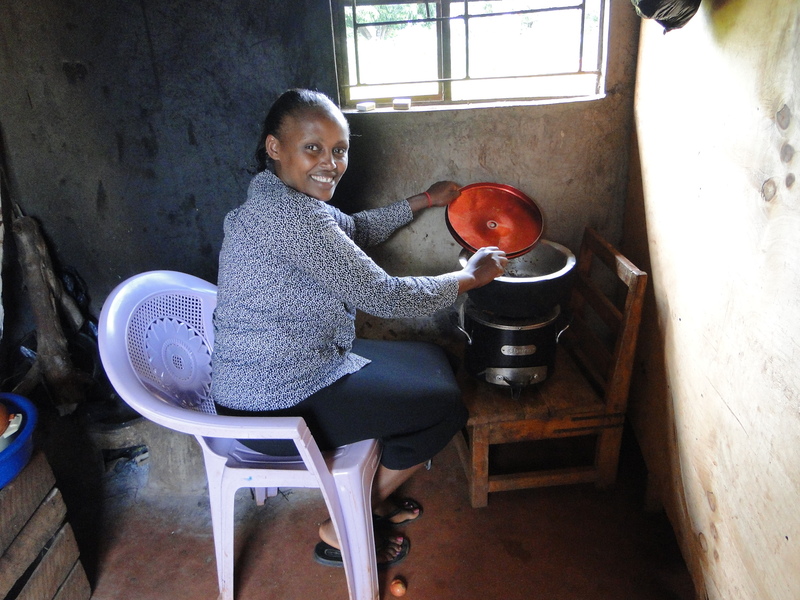 One such clean energy technology is clean cookstoves. Clean cookstoves burn more efficiently than traditional stoves, reducing the amount of fuel necessary, speeding the cooking process, and reducing harmful emissions. The use of clean cookstoves can reduce the use of wood and charcoal, saving women the time needed to collect fuel and/or money needed to purchase it. Clean cookstoves can also reduce time required for cooking, reduce the level of drudgery associated with fuel collection and cooking, and reduce exposure to health risks. Similarly, the use of solar lanterns saves families money on kerosene, enhances safety by enabling access to lighting at all times of day, and can enhance income-generation by enabling individuals to work into the evening. 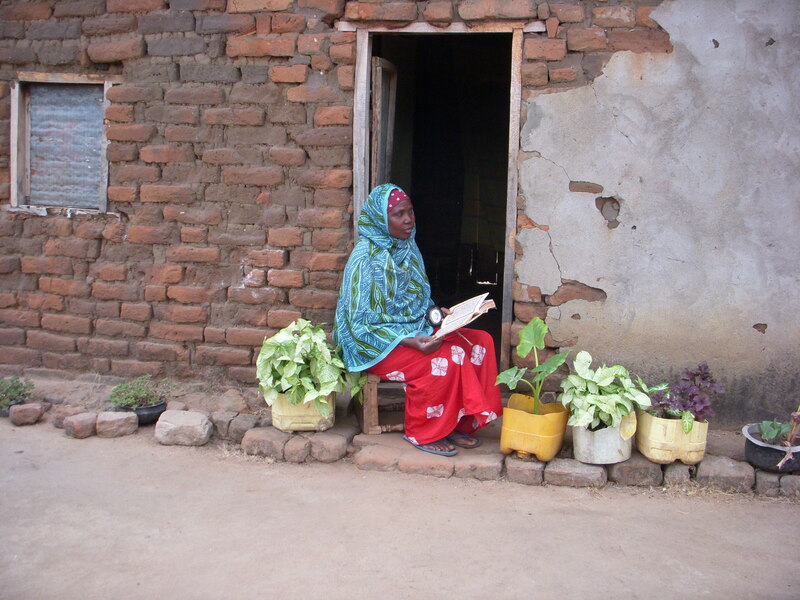 Not only do women have a role to play in adopting and using these energy technologies, but they can and should also be engaged throughout clean energy value chains. As the primary users of these clean energy products, women know how to design products to meet women’s needs and how to sell and market products effectively to their target audience. ICRW has been doing research on various clean energy technologies to better understand how engaging women as designers, manufacturers, and sales agents can enhance business outcomes and also empower individual women. Stay tuned for future blogs on our work with Solar Sister and the Global Alliance for Clean Cookstoves. Previous post: INCLEN-UCB Training in Household Air Monitoring (THAM), Sept 2015.